All things woolly and colourful is what I am about! 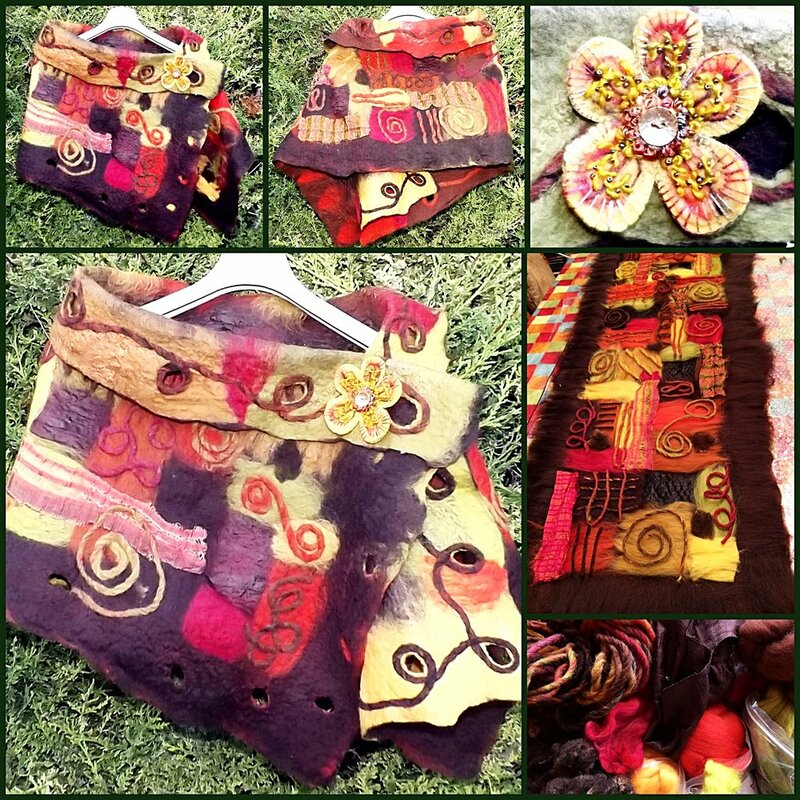 Through the wonderfully versatile medium of felt and yarn I create OOAK pieces, ranging from bags, jewellery, gifts and homewares each one is hand crafted creating an accessory to add depth and personality to your own unique style. I make felt using the traditional methods of wet felting and embellish with needle felting, this offers an infinite variety of possibilities. Each piece has its own distinctive characteristics formed as the fibres entwine, merging the colours. By combining silks and other natural fibres with the wool I can create a range of different textures and effects making each item unique and unrepeatable.